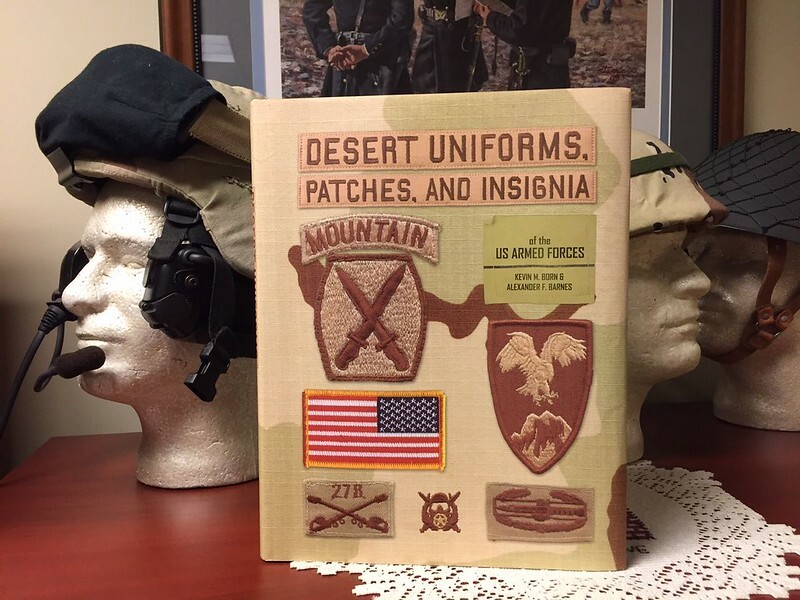 I just spent the past few hours going through this incredible book on Desert uniforms and patches.. Once you have it in hand it will be very difficult to put this book down until you read it from cover to cover. Each page I turned in anticipation left me looking forward to what the next pages had to offer. The book is filled with amazing pictures, detailed information and variations of insignia that was produced. Halfway through the book I found myself getting my desert shoulder patches out and comparing them to the variations in this book. I just could not put this book down.... It is that Awesome!!! This is without a doubt a top notch and top shelf book written by 2 great Militaria enthusiasts (Kevin and Al) with a passion for preserving and recording history. This book is going to be at the forefront of Desert insignia and uniforms for a long time coming without any doubt in my mind, and it will be the go to reference book for the short lived Desert uniforms and insignia worn by the Armed Services.. This area of collecting of DCU uniforms and insignia with the printing of this book will once again gain much attention and popularity, and those looking to start collecting desert insignia will need to arm themselves with this book for knowledge and information..
Kevin and Al, once again, your tireless efforts are well appreciated for this area of collecting that up until your book, very little was known or printed in such a vast quantity all in one source for the collector of Desert insignia and ephemera. For those members who are considering buying this book but have not yet done so, I might suggest that you get yours ordered quickly before they sell out. 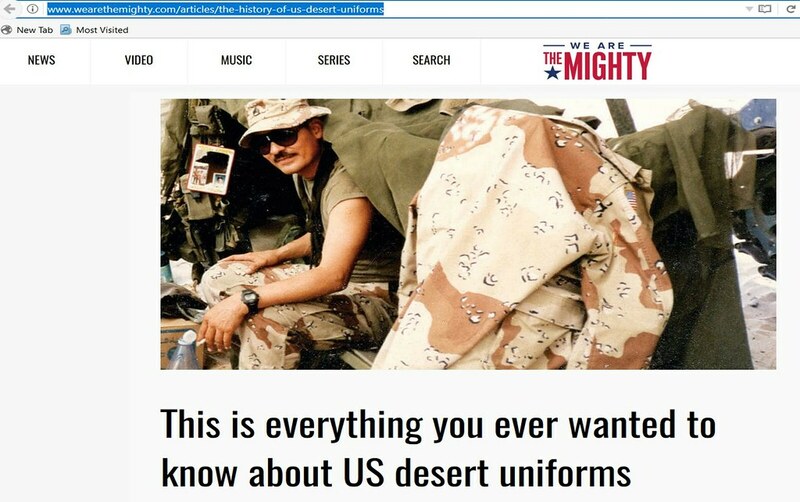 Smitty - Thanks so much for your kind remarks about "Desert Uniforms, Patches, and Insignia of the US Armed Forces". It's good to hear that you couldn't put it down. For Al and I it was a labor of love and a great learning experience. Al started out calling me a "thread counter" because he thought I was getting too deep into the weeds with details on patches and uniforms. But he came around and soon was obsessed with identifying the different DBDU and DCU makers. You may be right about the book selling out, Amazon is on the verge of being out of stock for a second time in a week and Overstock.com has already sold out. I thought you would like the Berlin Brigade page (121), we actually tracked down the Provide Comfort worn uniform after the book was finished as had to ask the publisher to add it at the last minute. Al and I are excited that tomorrow, 28 December 2016, is the official release date of our new book "Desert Uniforms, Patches, and Insignia of the US Armed Forces"! Amazon here in the US has sold out their stock of our book twice and are of the verge of selling out again. The book is available from all major booksellers both here in the US and World Wide.